Build flexible, columnized masonry layouts in Stacks that are responsive adjust and on the fly. These layouts are perfect for responsive themes and include supremely fun animations! Below is the simplest example of a Bricks layout. The items will rearrange based on the browser or device width to fit as bet they can in the layout. Since most of these items are relatively the same size, this is a simple task to Bricks. Add any number of items to your Bricks layout by simply clicking the Add Item button. You're no longer limited to just 30 items, and all of your Bricks items can now be re-arranged! Adjust the spacing between all of the items in your layout to create a unique look. You can even set the gutter down to 0 to have your items touch each other. Bricks allows you to set animations for when your items appear in the browser window as your visitors scroll down you page, giving it a unique, fun look. You can set a max-width for your columns and Bricks will take over from there, making adjustments to your column widths to fit most responsive themes. We've provided a collapse, or tidy mode, in Bricks, allowing for a cleaner workspace in Stacks when you’re not editing your Bricks content. Have a page with a lot of intensive content or large images in Bricks? Use Bricks 2's Loader feature, which waits for the whole page to load before showing your Bricks content. Bricks is fully responsive, adjusting its layout and column widths based on your visitor's device and / or browser size. 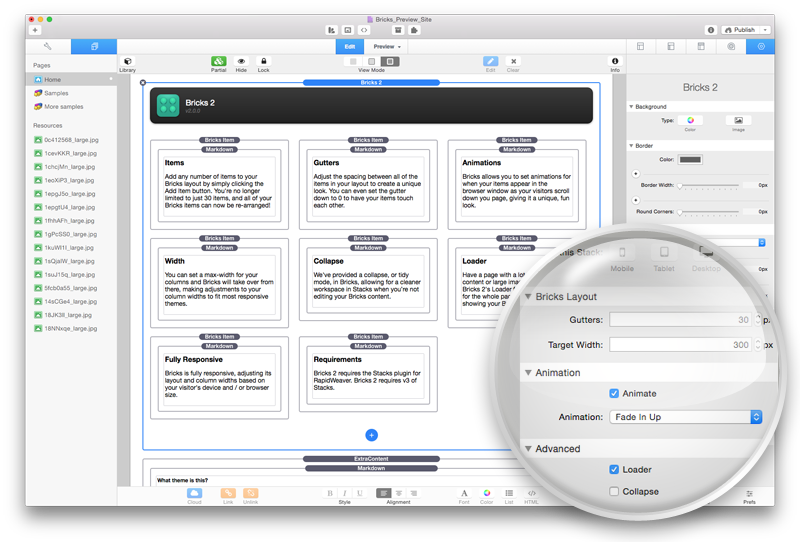 Bricks 2 requires the Stacks plugin for RapidWeaver. Bricks 2 requires v3 of Stacks. 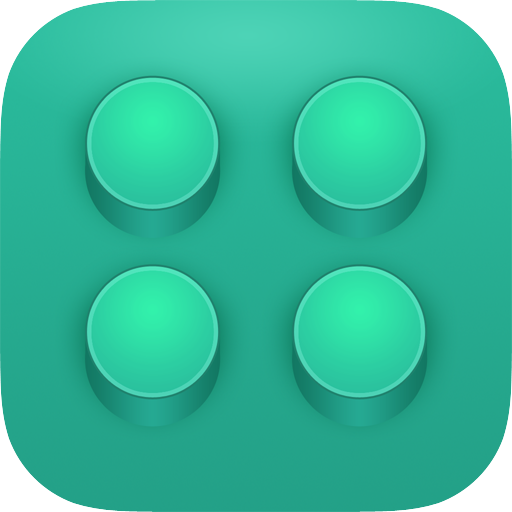 The theme we've used for this Bricks 2 preview site is our Navigator theme. Give it a look.